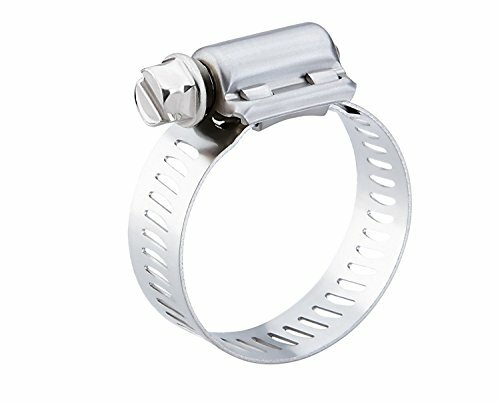 This Breeze Power-Seal series stainless steel worm gear clamp is used to attach fittings to hoses. The clamp's band is made from stainless steel, and along with a series 300 stainless steel screw, provide resistance to scaling and corrosion. The 1/2" band width allows for a secure sealing area, and the clamp has a “square knot” interlocking construction for added protection against breaking. This Breeze Power-Seal series worm gear clamp conforms to the SAE J1508 Type F standard for quality assurance and is suitable for use in automotive coolant, fuel, oil, vacuum, and emission system applications.